Furla is a high-end Italian brand best known for its shoes and leather goods. Furla’s bright and bold accessories for both men and women make the perfect addition to any outfit. With Big Apple Buddy’s personal shopping service, you can now buy direct from the USA Furla online store anytime, anywhere. 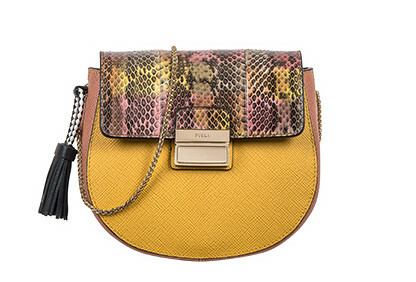 Furla’s Clio Crossbody Toni Corniola Bag, made of genuine elaphe and printed calf leather, is the perfect go-to bag. This bag is big enough to hold all of your everyday essentials but not too bulky or heavy to carry around. You can sling it over your shoulder so it hangs by your side or wear it as a crossbody bag-- it all depends on what is most comfortable for you! This bag comes in three different colors, so you can choose which one best matches the rest of your wardrobe. 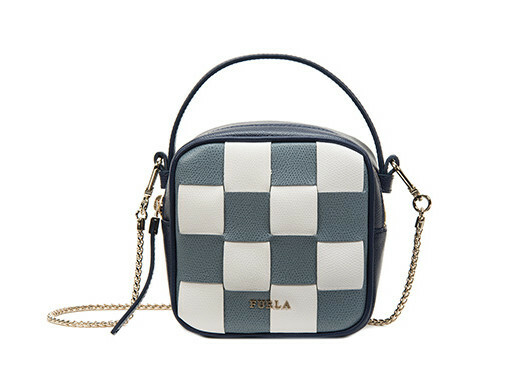 Another great option for a crossbody bag is the Furla Metropolis Crossbody Onyx. This bag will add a unique touch to your style with its creative techniques and pop of color. It falls comfortably at the hip and can be worn over the shoulder or as a crossbody bag. It will comfortably hold all of the essentials you need while delivering some serious style. The Furla Yo-Yo Crossbody Navy combines a playful design with sturdy workmanship on the frontal panel. Its colorful and contemporary design makes it the perfect bag to bring with you on a day out with friends! And while the design is fun and different, it’s simple enough to be able to match with just about any outfit. Unfortunately, the USA Furla online store does not currently offer international shipping. However, Big Apple Buddy, your personal shopper, can help you buy products direct from the official USA Furla online store and ship them to your doorstep, no matter where you are in the world. We offer international shipping to over 110 countries including Australia, Austria, Azerbaijan, Bahrain, Belgium, British Virgin Islands, Brunei, Bulgaria, Canada, Chile, Costa Rica, Croatia, Czech Republic, Denmark, Estonia, Fiji, Finland, France, French Polynesia, Germany, Gibraltar, Greece, Greenland, Hong Kong, Hungary, Iceland, Indonesia, Ireland, Israel, Italy, Japan, Jordan, Kuwait, Latvia, Liechtenstein, Lithuania, Luxembourg, Macau, Malaysia, Maldives, Malta, Marshall Islands, Mauritius, Monaco, the Netherlands, Netherland Antilles, New Zealand, Norway, Oman, Poland, Qatar, Romania, San Marino, Saudi Arabia, Serbia and Montenegro, Seychelles, Singapore, Slovak Republic, Slovenia, Spain, South Africa, St. Lucia, Sweden, Switzerland, Taiwan, Thailand, the UAE, the UK, Vatican City, and Vietnam. If you would like to buy from the USA Furla online store, simply let us know which items you would like to order (by filling out the form below) and we’ll get back to you with a free international shipping quote within 24 hours!